Don't play with your food...actually do! Just a quicky tonight but back in October I was looking for good toddler recipes to try on Reuben. The Ella’s Kitchen toddler recipes book was recommended by Sarah? Claire? I forget and can’t find the post but basically what happen then was I came across some research by Ella’s Kitchen (with Reading Uni). 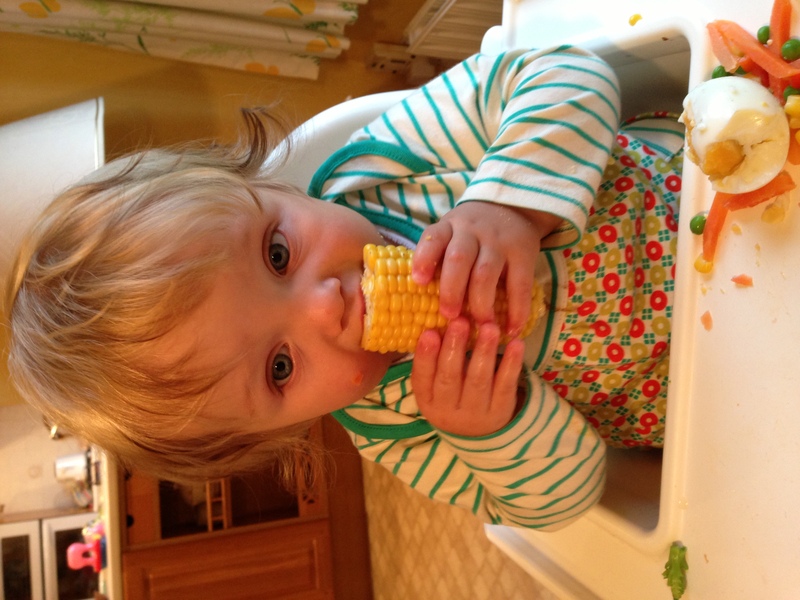 This was a different type of toddler recipe from what I was expecting…the crux of the research was if kids play with vegetables (not so much fruit) in between meals, they are more likely to actually eat said veg at meal times! If you take part in the Mum’s Days facebook wall, I’m always lamenting Reuben’s lack of interest in veggies – he’ll eat things in a tomato sauce with pasta, when he’s in the mood and occasionally has a go at a carrot when we’re having a meat and 2 veg type of meal but otherwise, no thanks. So, this sounded like a good idea! 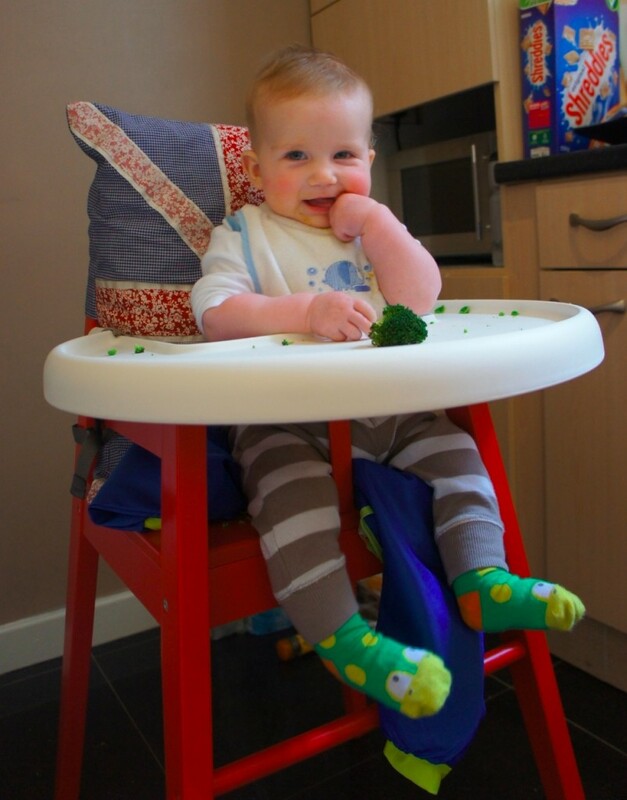 Ella’s Kitchen have a set of activity sheets to try, which we are going to have a go at but in the mean time, yesterday I just gave him some leftovers from our tea – beans and cauliflower (in hind sight, the cauliflower was a silly idea on our wooden floors!) with some little pots with lids – he played for a bit and did put a green bean in his mouth before making a face but it is definitely a positive start!!!! And then he did some walking for me – he’s not keen on doing on demand and flatly refused to walk for Grandma and Grandad tonight , but look at his little face! After all this scary eating stuff on facebook for the Hallo”wean” photo competition, which was announced yesterday – congratulations to Faye and her boogie monster baby! 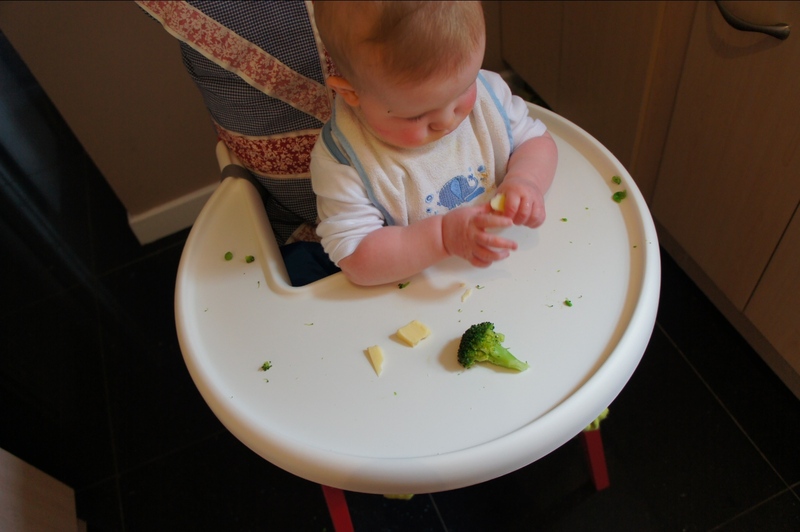 – it seemed fitting to talk about Baby Led Weaning today! 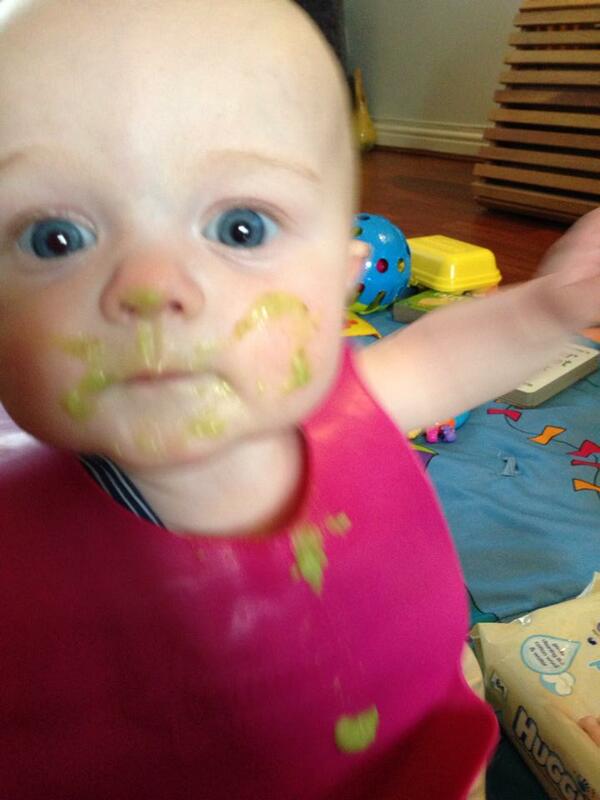 The winning photo from the Hallo”wean” facebook competition – Faye’s baby after a run in with the boogie monster! Sarah’s becoming a bit of a resident writer here on Mum’s Days! Having also shared her experience of bottle feeding, here she is telling us how she got on with Baby Led Weaning her two girls, Ava and Eliza, because, as she pointed out, and I quote, “There’s still not a lot written about it!” It’s funny because after she sent this through, Amy then asked the question on Facebook – “Baby Led Weaning, good or bad idea?” The general consensus was, do a bit of both, however, the die hard BLW experts would say if you do BLW you have do it exclusively! 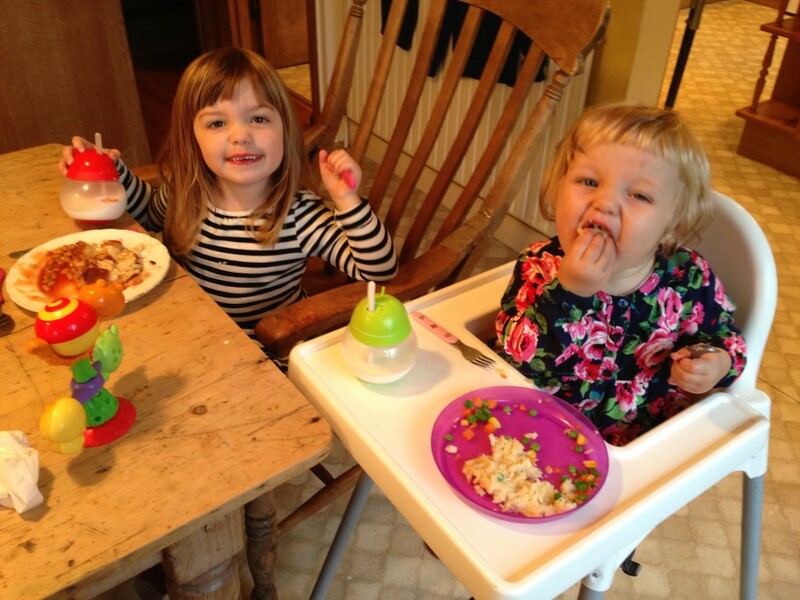 Ava and Eliza loving BLW! 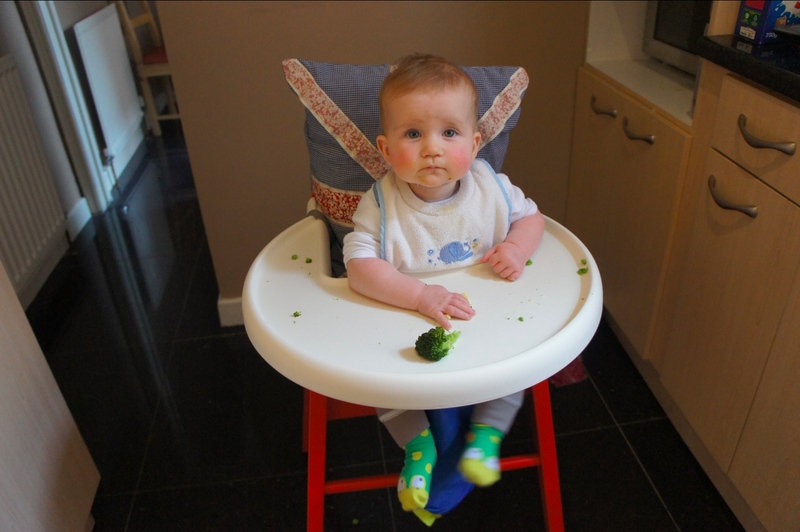 I wrote my experience of Baby Led Weaning back when Reubs was 6-7 months, which basically says, it’s not for me but if you want to have a go, here are some resources! It wasn’t until Reuben was about about 9 months, when I was around at my friend’s house with a few of her mum pals, that I started to question my decision. 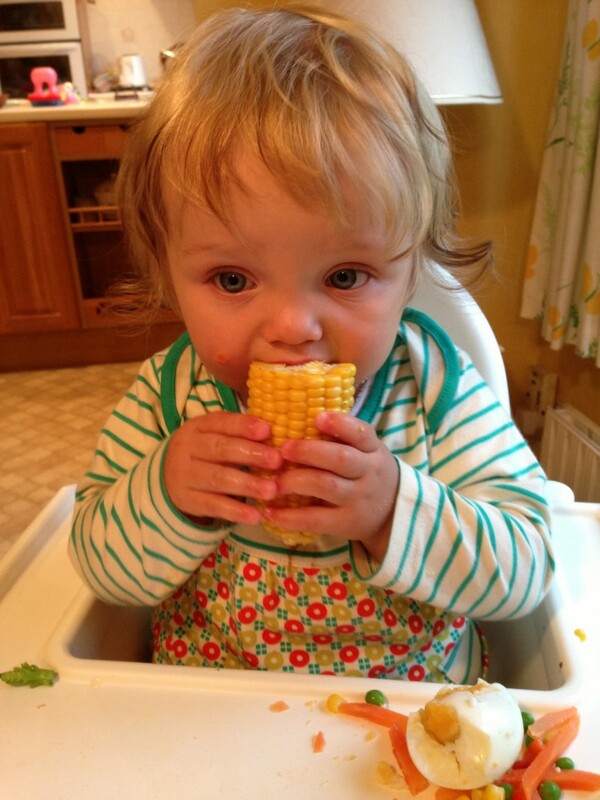 All of those mums had done BLW and while Reuben was just getting to grips with a little sandwich, all those babies were eating chunks of cheese, watermelon complete with pips and skin, and the one that really got me…corn ON the cob! But I stuck with my decision as he was eating amazingly well. 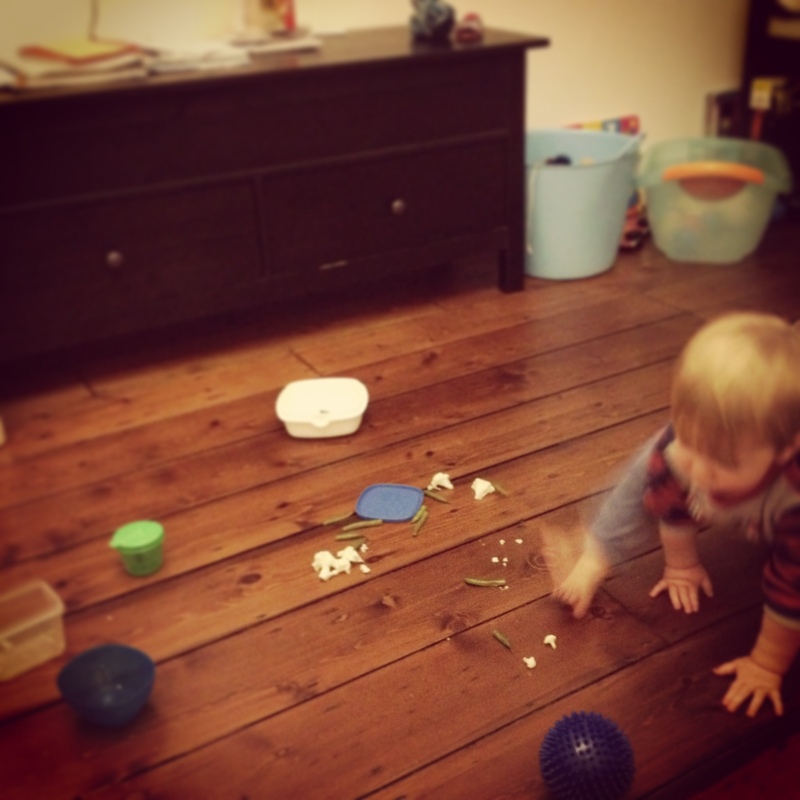 Up until he started teething and everything he used to like, the failsafes, he now hates! Now Reuben is eating all by himself – GET OFF MY FOOD, MUM, I DON’T NEED YOUR HELP!! 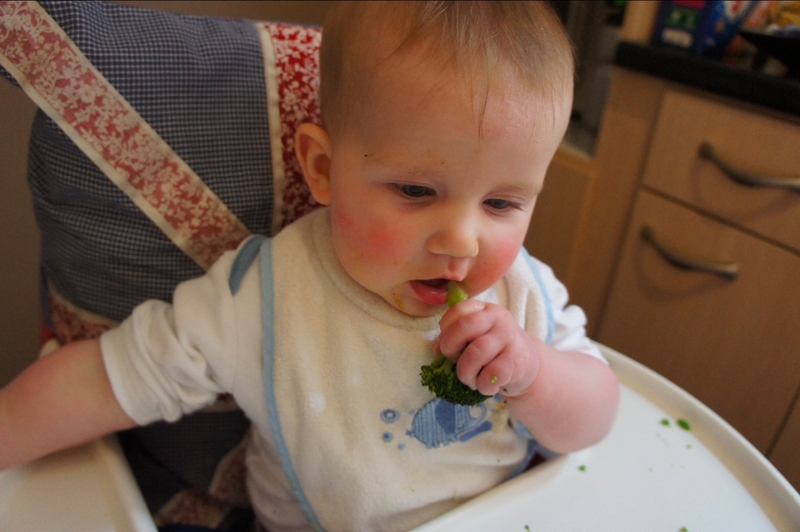 – I’ve been looking to BLW for some ideas to help him to really enjoy his food again (and not just scrambled egg and porridge but veg too!) and also to help me to be more hands off. I find it difficult not to get frustrated when the food I have lovingly created is being lobbed around the room, but you have to just go with it and, apparently, it doesn’t mean they will turn into yobs.